Photo from Maggy Whitehouse, no reproduction without permission. 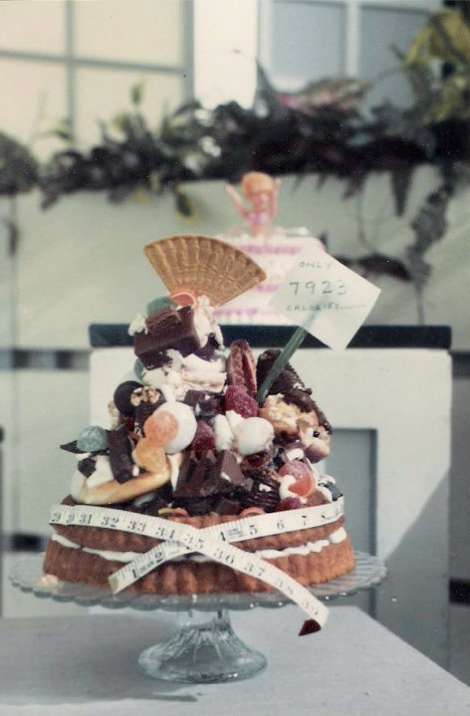 Actress and queen of cakes, Jane Asher, created this calorific extravaganza for Pebble Mill at One. The cake contains a mere 7,923 calories – slimmers beware!